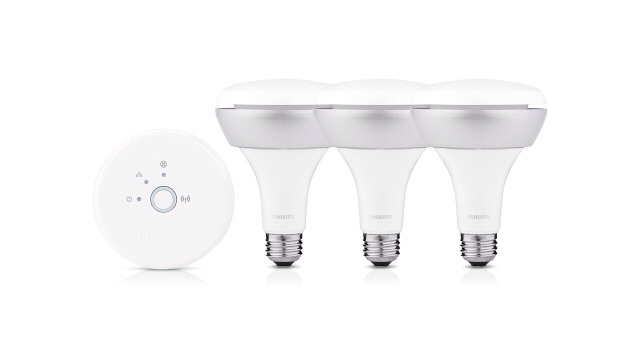 Philips has announced new additions to its hue smart lighting range including the GU10 spot lights, BR30 downlights, and Disney StoryLight for children's bedrooms. The new hue GU10 spot lights are suitable for recessed spot light fixtures with recess depth over 85mm, while the BR30 is popular in North American homes as a ceiling downlight or flood light. Both additions mean that you can screw in hue to accent lighting, spot and downlight fixtures and create personalized light to suit your décor and family’s lifestyle in many more areas of your home. You can even extend it to the children’s bedroom with StoryLight for truly immersive story telling at bedtime. Through a collaboration with Disney, StoryLight (with similar features to the recently released Friends of hue LivingColors Bloom) brings hue into the children’s bedroom to create truly magical moments. With a dedicated app that connects colored lights to the narrative of specially created Disney e-books. StoryLight brings a child’s favorite Disney stories to life by synchronizing the pages with the Mickey Mouse shaped Bloom light as they read. 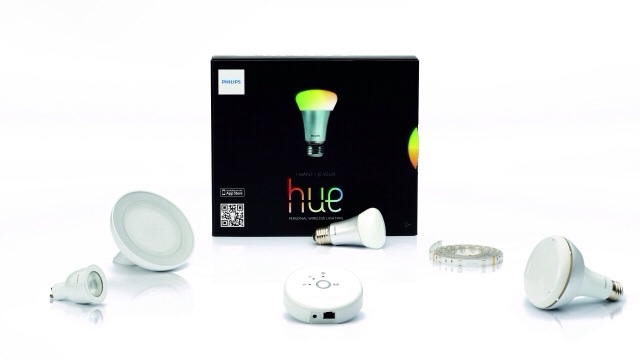 The Philips hue bulbs offer up to 80 per cent energy savings compared to traditional incandescent bulbs. 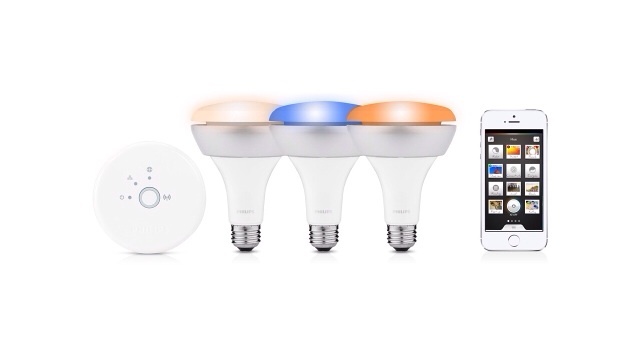 No matter which bulbs you choose, Philips hue is easy to set up and add more bulbs. A starter pack includes three bulbs that simply plug into your existing sockets, and a bridge that connects to your Wi-Fi router. Simply download the hue app to start experiencing light throughout your home in a completely new way.